In the third part of the series Hanne Laitinen reflect the importance of corporate strategy in everyday activities and ponders how to exceed customers' expectations in future. Aalto PRO's Master Class in Quality program has been an eye-opening experience for Hanne Laitinen, who works as Test Manager at Nordea Life. One of her key insights has been to understand the importance of corporate strategy. “The strategy forms the basis for everything we do!” Laitinen effuses. Strategic objectives must be clear enough so that they are translated into everyday activities and bring meaning to work." Strategic leadership and related challenges have been on the agenda many times during the program. The discussions have made Laitinen realize that strategies may sometimes be a bit vague, which may make it difficult to define future scenarios in concrete terms. One of Nordea Life's strategic objectives is to be the most modern and innovative life assurance company in Finland. This is strongly linked to digitalization. But is it enough to make Nordea Life stand out from its competitors? This is something Laitinen is now thinking hard about. In addition to market share and other traditional strategic measures and goals, new indicators are popping up. These include customer experience and customer needs. You can make sense of quality by using simple, familiar tools that many of us have already used at work." What's come as a relief, Laitinen says, is that the question of quality is not rocket science and that you don't have to be a quality specialist to define what quality is. You can make sense of quality by using simple, familiar tools that many of us have already used at work – without realizing that they are actually quality tools. These include, among others, the fishbone diagram, mind map, and the 5 whys method. What, then, is the quality that we talk so much about? The program has given Laitinen food for thought about that as well. “Quality is providing the customer with products and services that exceed the customer's expectations. By doing this we can convince the customer to come back and to recommend us to others, as well,” Laitinen formulates. Laitinen says the customer should be given something special, some kind of a "joy factor." This is not easy to accomplish in a world where customer expectations keep changing all the time. Quality is providing the customer with products and services that exceed the customer's expectations." Laitinen says she has had interesting discussions with her course mates about the expectations that the customers of a life assurance company have. And let's not forget that insurance companies are often hampered by images that aren't always positive. 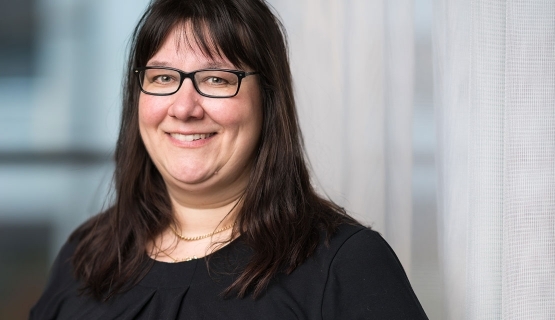 This series follows Hanne Laitinen, who works as Test Manager at Nordea Life, as she participates in Aalto PRO's Master Class in Quality program. Throughout the journey, we'll hear what it's like to study alongside work and what kinds of insights and eureka moments come up during the program. Part 2: What is on the supervisor's wishlist? Queen of Quality, part 4: A system is more than the sum of its partsIn the last part of the series Hanne Laitinen sums up her thoughts and insights from the program and her passion toward studying. Queen of Quality, part 2: What is on the supervisor's wishlist? Queen of Quality, part 1: Good things come to those who waitThis series follows Hanne Laitinen as she completes her Master Class in Quality studies.